If you are looking for something both affordable and fully functional tablet, then Google Nexus 7 is probably the right choice. But one of the worst thing in this is; it does not available globally. Yesterday it has launched the Nexus 7 in Japan, possibly one of the most important markets for the company. The Google Chairman Eric Schmidt himself was present for the launch of the device and had a few interesting comments about Google maps on iOS. It is available from the Google Play Store in Japan for a price of ¥19,800 (about $254) for the 16GB version. It would also be available on the country’s biggest retailers such as Bic Camera, Yodobashi Camera, and Joshin. That is essential for boosting sales of the 7-inch tablet. 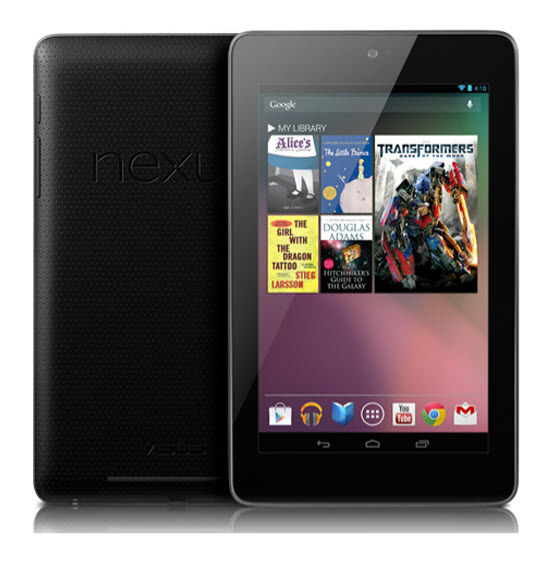 Google has most recently pushed its market outreach by making the Nexus 7 available in Europe as well. Along with the tablet, Google has also launched Google Play Books in the land of the rising sun. Interestingly, Google beats Apple in Japan with its online book store. The Nexus 7, with its quad-core Tegra 3 processor, 1GB RAM, 7-inch 1280×800 display, 1.3MP front camera, and 4,325 mAh, is Google’s flagship Android 4.1 Jelly bean device, so its availability in as many markets as possible certainly is not going to hurt Google.